Jocelin is a testament to bodybuilding's worldwide growth. He incorporated weight training with thai boxing to build a sleek physique capable of handling serious weight! I started bodybuilding four years ago to complement thai boxing, which I practiced. I weighed 172 pounds at 6-foot-3. My first two years of bodybuilding was laborious; no training plan. My objective was to gain weight, which I achieved in November 2011 at 229 pounds with a body fat percentage of 18-20. In hindsight, I really didn't accomplish much with this tactic. My fascination for bodybuilding prompted me to earn a diploma as sports coach and apply what I learned. My training became structured and my nutrition came around. I began to see differences in a few short months. I regularly train five times a week, but it can vary according to the cycle and the objective. 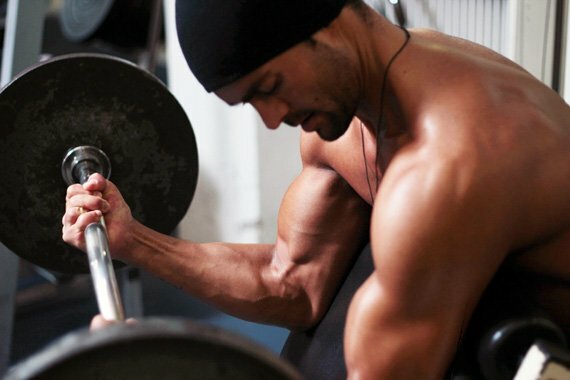 Typically, I aim for 12-20 sets for each muscle group in a 5-15 rep range. The urge to progress and learn more about training pushed me. There is so much to learn and try. The progression and innovation of training is fascinating to me. Nothing comes easy. It's necessary to remain serious and motivated. It's very rare that I'm not motivated. My health above all keeps me focused and on track. Otherwise, I look to training videos for motivation. I want to continue improving my training and to hit my objective of 209 pounds with 8-10 percent body fat. I want to find a sponsor and do a photo shoot for a magazine like Muscle & Fitness. It's vital to remain motivated and patient. To see results, there can be no cheating. Take pleasure in training. I like Stan McQuay, David Kimmerle, Rob Riches, Steve Cook, and Ulysse Jr. I use the forums to research and expand my knowledge and the store for my supplement needs. The exercise and training links are great for learning form and creating workouts.